Shirts With Random Triangles: (UPDATE) Marshall Henderson criticizes ESPN coverage of Michael Sam on Twitter. Clains gay friend put him up to it. (UPDATE) Marshall Henderson criticizes ESPN coverage of Michael Sam on Twitter. Clains gay friend put him up to it. 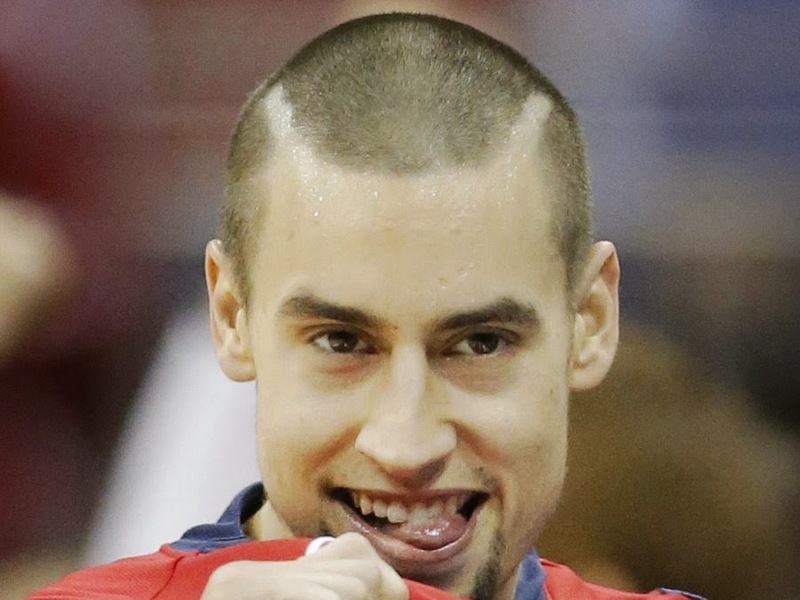 Marshall Henderson. Photo via Business Insider. Former Ole Miss guard Marshall Henderson wasn't all to thrilled over ESPN's coverage of former Missouri defensive end Michael Sam being drafted by the St. Louis Rams, and he decided to share his displeasure with the Internet on Twitter Monday morning. He's apparently doubling down on his stupidity on Twitter. Im sorry, but I DO NOT AGREE WHATSOEVER that should be shown to where innocent eyes can see!!! Hint to Henderson (whose NBA Draft possibilities were already in question): you might want to invest in some Rosetta Stone software. Russian may be the most logical choice at the moment, but Mandarin and Serbian are obvious choices as well. UPDATE: Henderson is now claiming that a gay classmate asked him to put out the above tweets to gauge people's reactions. As far as what I said, Totally was 100% for the project ... as far as my ACTUAL views - its irrelevant because its gonna happen regardless! Sorry for messing with everyone like that!!! Everyone really helped my boy AND FOR THAT WE ARE EXTREMELY APPRECIATIVE!! !